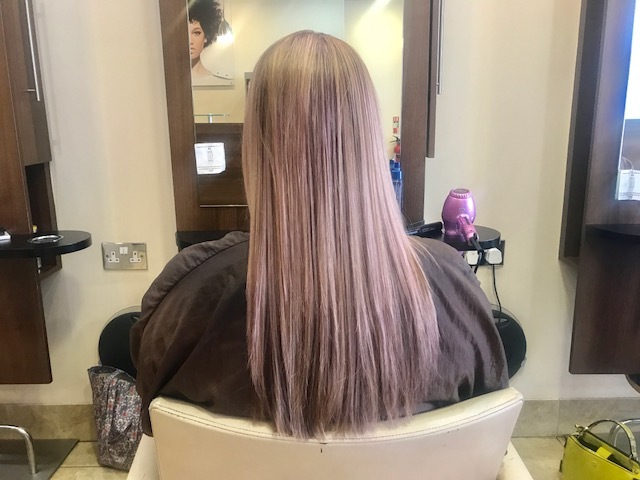 I was recently asked along to Unique Hair Salons in my home town of Hessle (the outskirts of Hull) for a hair make over! This could not have come at a better time as my hair was in desperate need of some attention. I get my hair done properly about once a year, just because my mum cuts it for me (she used to be a hair dresser) and I * don't think it looks that bad ?? * when I have roots? Anyway, it needed a bit of a spruce up so I was very excited to go along and have a revamp. 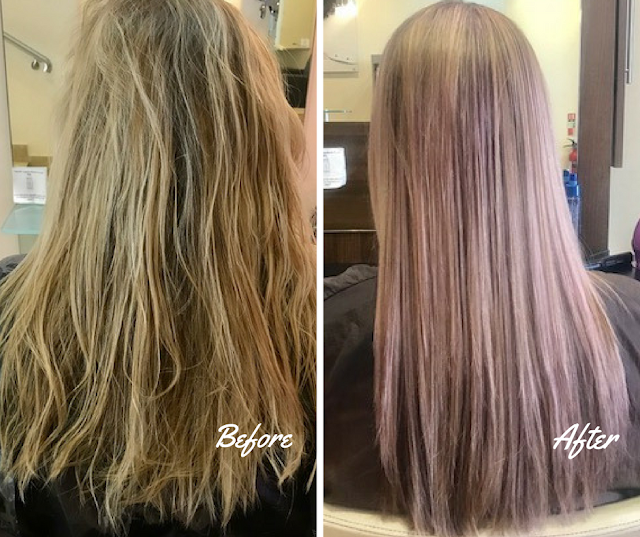 Last year I went along to the salon to try out their System Professional Range so I was excited to try something new. 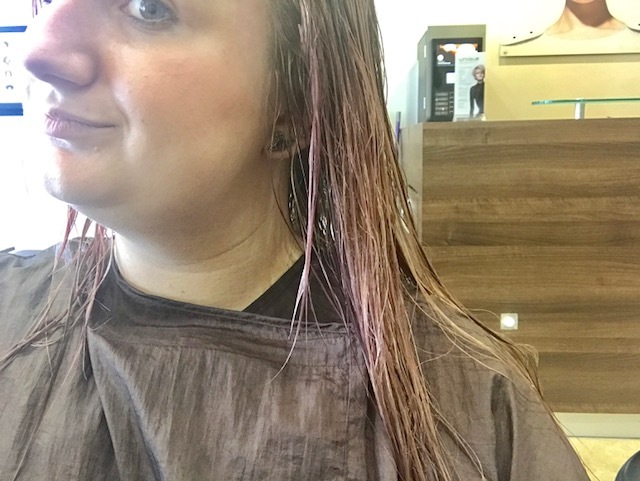 I went in for an initial consultation with my stylist Veera and we spoke about what I wanted. To be honest Im pretty easy when it comes to things like this as I think well your the expert so do what you think is best! I just said I wanted a trim, some more layers and a bit of a lighter colour. Veera worked out using the coloured cloths that I suit more cool tones so we decided on that. Veera used 3 different tones and created highlights all over my head. This was to make it a lot more natural looking and to add texture. All the colours used where from Wella, including Dark Ash Blonde, Perfect Lighest Ash Blonde and a pre lightener. Once all of the colour was on I was left with a cup of tea and magazines for around 20 to 30 minutes. Veera kept checking to see if the colour was taking. 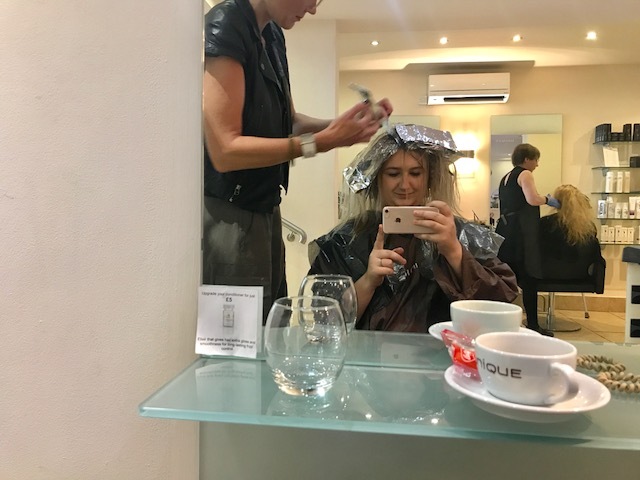 I was then taken over to wash out the colour, (my favourite part) I love having my hair washed by someone else I think its so relaxing! 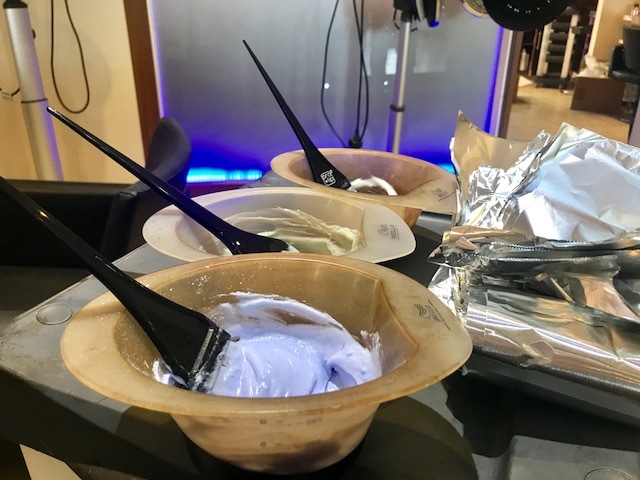 After washing away the excess colour I had a colour lock emulsion treatment to ensure the colour stayed bright and fresh! We also decided it would be fun to all the Wella perfection conditioning colour rinse pink toner! As I was heading to the Radio 1 Big Weekend I thought it may be nice to add a pink/purple tone to my hair. This was a wash in treatment and didn't take too much longer too add. 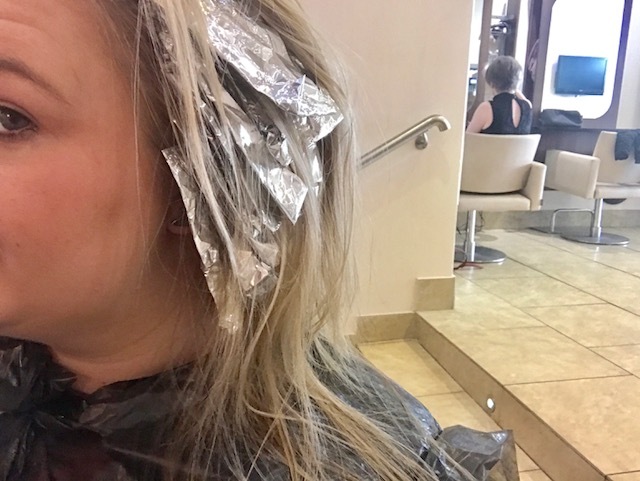 You can have the toner done as a treatment at the salon for around £15 and it washes out after 2/3 washes or you can keep it up with silver shampoo. I think it is a fab idea if you are heading to a festival or a gig this summer! As you can see above the Pink toner adds a lovely hint of colour (sort of wish it was permanent now). 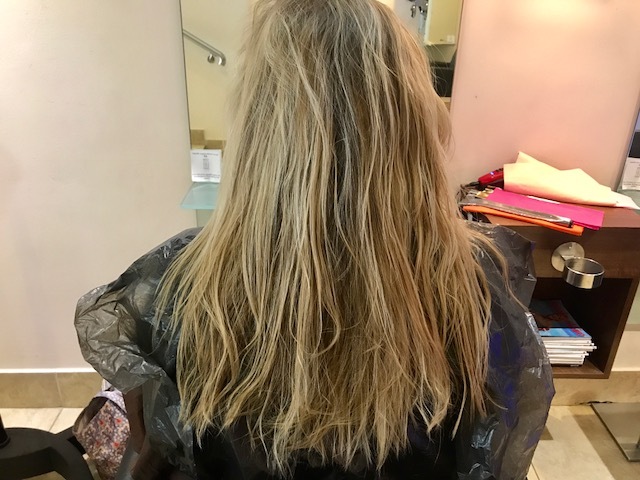 I had it blow dried and the straightened so that it was easier to cut in more layers. Looking at this photo I didn't actually realise how long it looks at the back! I had some shorter layers in the front put it but I forgot to get a photo of that! I love how it looked straight and was so impressed with the colour but we decided to curl it as this is how I often style it on a night out. I LOVE it curly although you cant see the pink tone in this photo. Over all I love my hair make over and had a lovely time at the salon. 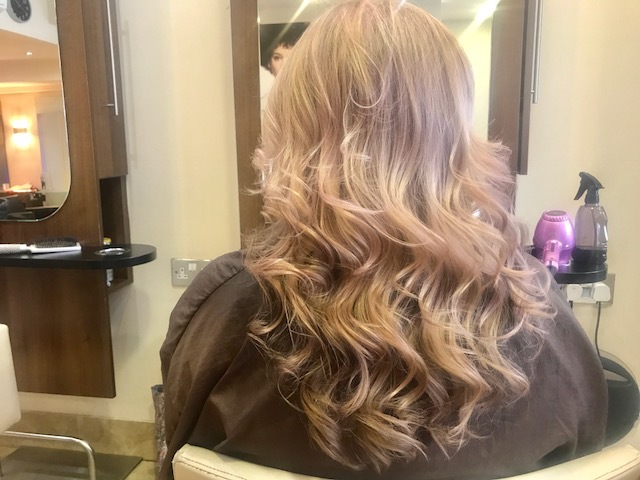 Unique have salons in Hessle, Cottingham and Beverley so if you are looking for a new salon to try I would highly recommend. Thank you so much for having me guys, I already cant wait to book in again! 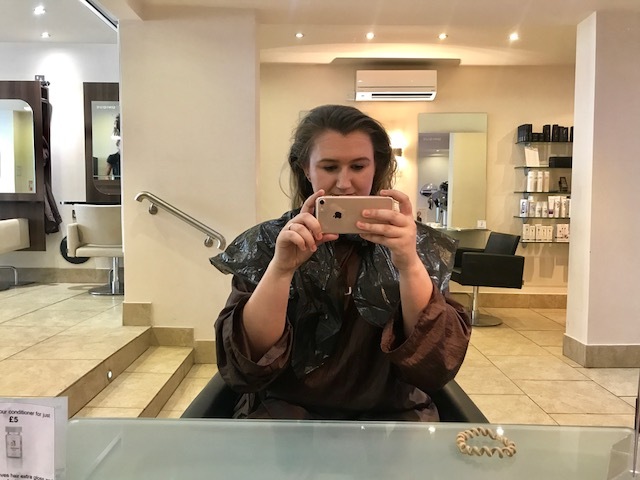 *I was given a hair makeover in exchange for a blog post review.